I joined the "75 Books Challenge for 2018" on LibraryThing. I can say with some certainty that I won't make it, but I guess 50 will be fine ;-) So here is today's status. 1/75: The first book I read this year was The George Bernard Shaw vegetarian cook book in six acts : based on George Bernard Shaw's favorite recipes which I got via SantaThing :-) George Bernard Shaw was a vegetarian from the age of 25, first because vegetarian cuisine was cheaper and he had not much money, but soon because of profound conviction. These are recipes by his housekeeper and cook, Alice Laden. 3/75: The cracked spine by Paige Shelton. 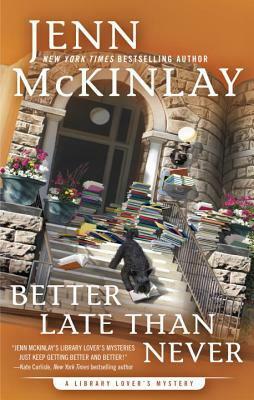 After having read the second volume of the Scottish Bookshop Mysteries, I wanted to read the first one. I preferred Of books and bagpipes, but The cracked spine was a nice read while commuting. 4/75: Better Late Than Never by Jenn McKinlay. Volume 7 of the Library Lover's Mysteries - I read them all. Enjoyed it. 5/75: Kater Friedrich fährt zur Kur. A really charming children's book about a cat named Friedrich who goes on a "Kur" (difficult to translate - it's a several-week-long stay in a specialised institution to restore or maintain one's health, usually paid for by your health insurance). Friedrich has accidentally swallowed something he shouldn't have and needs to recover. 6/75: Attention All Shipping : A Journey Round the Shipping Forecast. The "Shipping Forecast" is a traditional BBC radio broadcast where the nautic weather in the waters round the British isles is forecasted. Wikipedia says about this: "The unique and distinctive sound of these broadcasts has led to their attracting an audience much wider than that directly interested in maritime weather conditions". 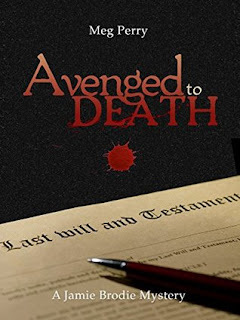 It took me really long to read as there are a lot of words I don't know but I enjoyed the style. 7/75: Crime & Poetry (Magical Bookshop Mystery) by Amanda Flower - a bookshop mystery featuring magic and a cat and a librarian. 9/75: EU-Datenschutz-Grundverordnung (EU-DSGVO). Praxiseinführung in 7 Schritten - a useful book about the GDPR I read for my work as a data protection officer. 10/75: The glass room by Simon Mawer - finished. Enjoyed it. 12/75: Prose and cons by Amanda Flower. 14/75: The road to Wigan Pier by George Orwell, his documentary account of mine workers' work and life conditions in Yorkshire and Lancashire of the 1930s and musings about socialism and communism. Very interesting and sometimes surprisingly current. 17/75: Christian Pfitzer: Abgewrackt - Die Anekdoten eines Arbeitslosen - a critical and also funny account of a 25 year old German having lost his job and avoiding to get another one for a quite long time. Very good descriptions of the bureaucracy at the job centre and of the many ways poor people try to get round the month. 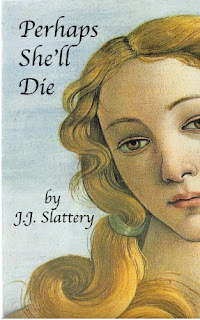 20/75: J. J. Slattery: Perhaps she'll die - another librarian mystery. I liked the description of "small college politics and scholarly intrigue in the groves of academe" (blurb) among the very good mystery plot. It also has a classics background (Sappho & Co.) which I especially like. I really read a lot of bibliomysteries, and this was special. I would like it to be continued, but the author has already died. 21/75: A. J. Jacobs: The know-it-all. I remembered that I have read a book from a man trying to observe ALL rules in the bible. As I searched the book I realised that Jacobs has written a lot of books with self-experiments. So I read The Know-it-all. 23/75: Ephraim Kishon: Alle Satiren (all satires in one volume) - a really pleasant and funny read, but in some of the stories you see their age (I don't speak of technical developments, but of the man/woman relationship). 37/75: A youthful indiscretion by Elizabeth Edmondson - it's a pity that there won't be any more volumes of the Very English Mystery Series. I really liked it. I started Death at the Netherfield Park Ball by Amelia Littlewood on the Kindle.